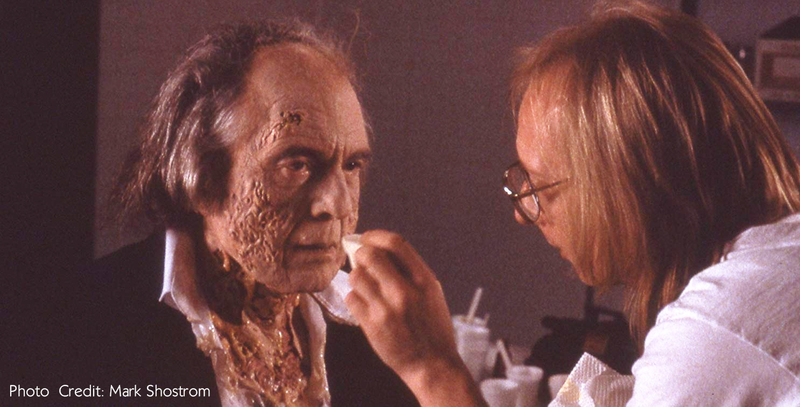 Thirty-odd years later, makeup effects legend Mark Shostrom has revealed the ingredients to the grotesque makeup that melted the Tall Man at the end of Phantasm II. Phans will recall that Mark supervised makeup effects on both Phantasm II and Phantasm III, which were arguably an effects high mark for the entire franchise. 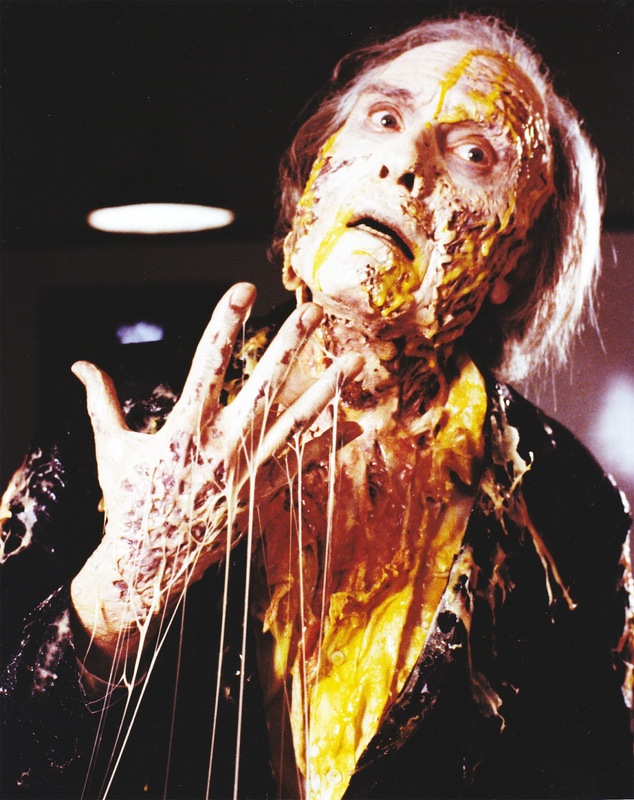 Angus Scrimm lovingly dubbed Mark "the Julia Child of Makeup" for his use of food products in the melting sequence. We've long known Mark incorporated chicken skin in the melting makeup, but here's a complete list of items used! Mark further comments: "Since chicken skin often has salmonella and is incredibly greasy, I had to wash it with Ivory liquid and hot water for at least 30 minutes. I wore rubber gloves for this. 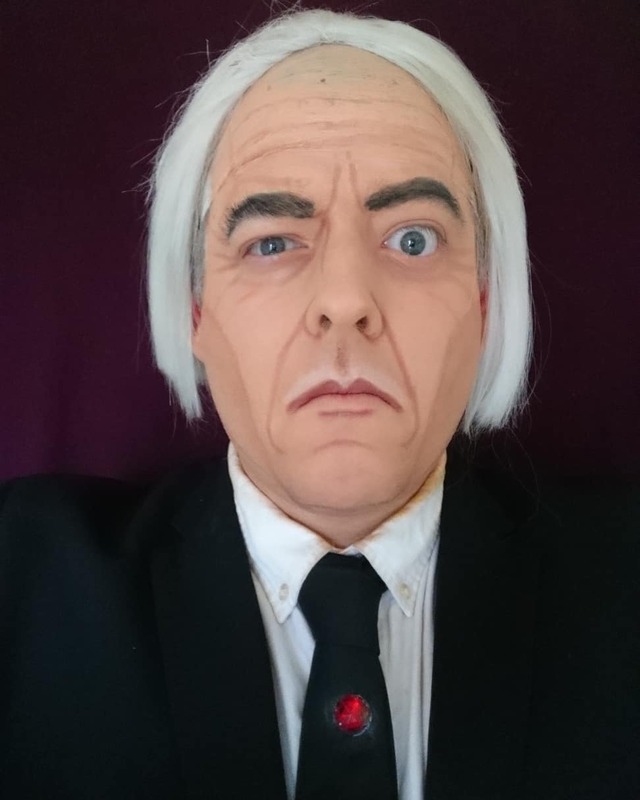 Angus wore full face, neck and hand prosthetic I had sculpted; these were foam latex and painted with PAX and rubber mask greasepaint. All the food stuff went on afterwards. 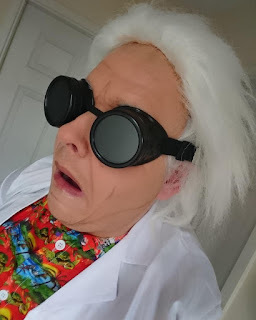 The only glue that would work to stick the chicken skin to his rubber neck prosthetic was super glue (I never glued them directly on his skin). 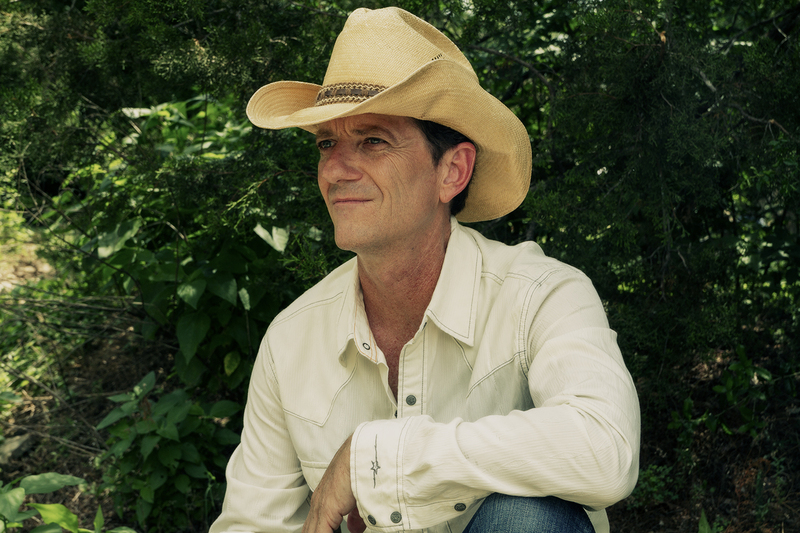 I also have a good Jambalaya recipe but I've never tried that one on an actor." To learn more about Mark's incredible career in makeup effects (including more Phantasm'y goodness), visit his official website or check him out on Facebook. Visit PotterMakeup's page to see that, in reality, he looks nothing at all like Angus Scrimm, which only highlights how incredibly transformative this makeup job truly is! This talented phan has also created a number of iconic characters from throughout pop culture including Doc Brown, Rocky Balboa, Hellboy, both Laurel and Hardy, and so many others. 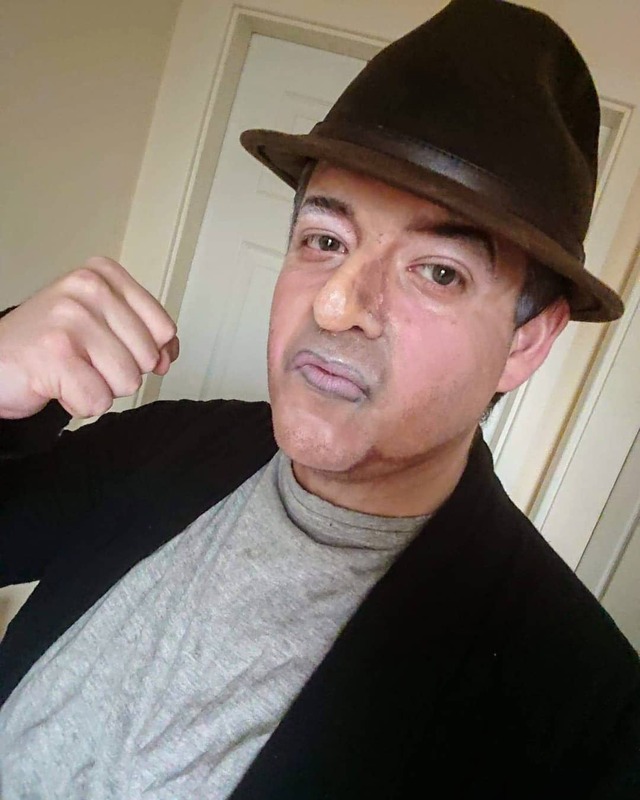 "You play a good game, boy!" Can we get a Regman makeup next? Fingers crossed! 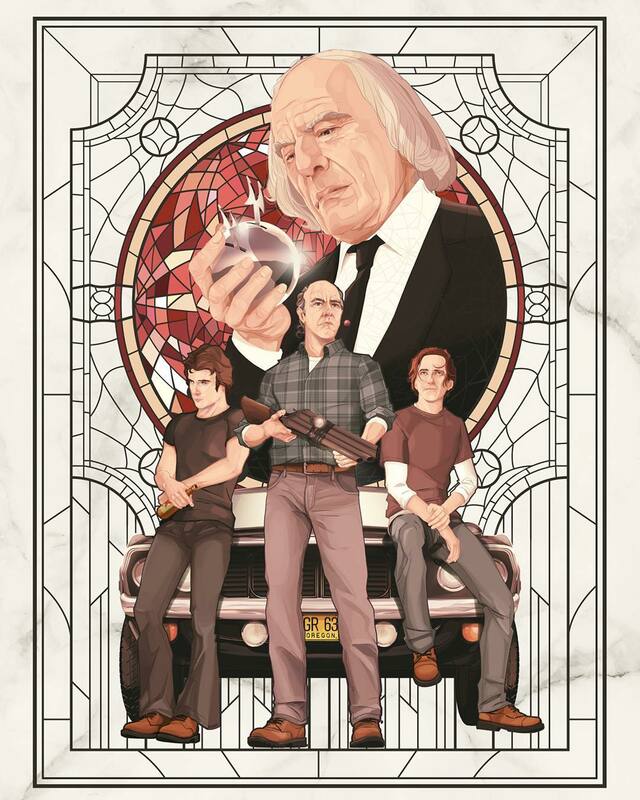 Italian distributor Midnight Factory has just released a pretty cool Blu-ray box set of the entire Phantasm franchise. This release packs six discs, meaning there's an entire disc devoted to bonus features. It also includes nifty postcard prints and an exclusive full-color booklet. Given how cool all that is, I guess we can forgive the inclusion of James LeGros on the cover instead of A. Michael Baldwin. (Happy belated birthday to Mr. Baldwin, by the way.) 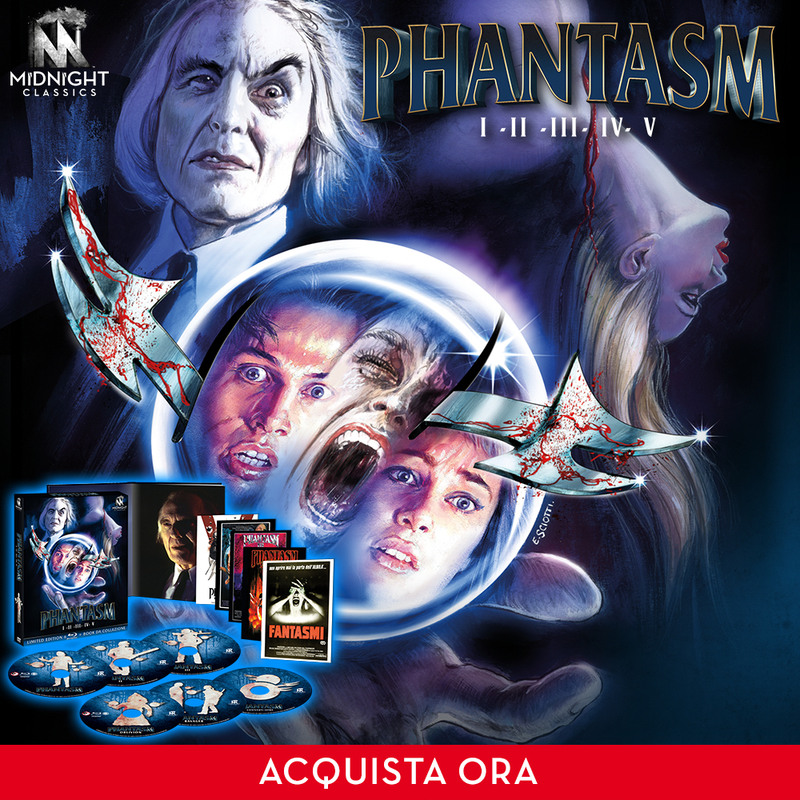 It wasn't like they just recycled the old Universal poster art - they had an artist draw this cover based on that! Even stranger than LeGros being featured over Baldwin is this recent advertisement for the set. Is that masked man... supposed to be... the Tall Man? Yikes! As weird as it is, this ad is also kind of cool. I dig it. And judging by the blades, that sphere hails from the old Anchor Bay UK DVD set from many years back. 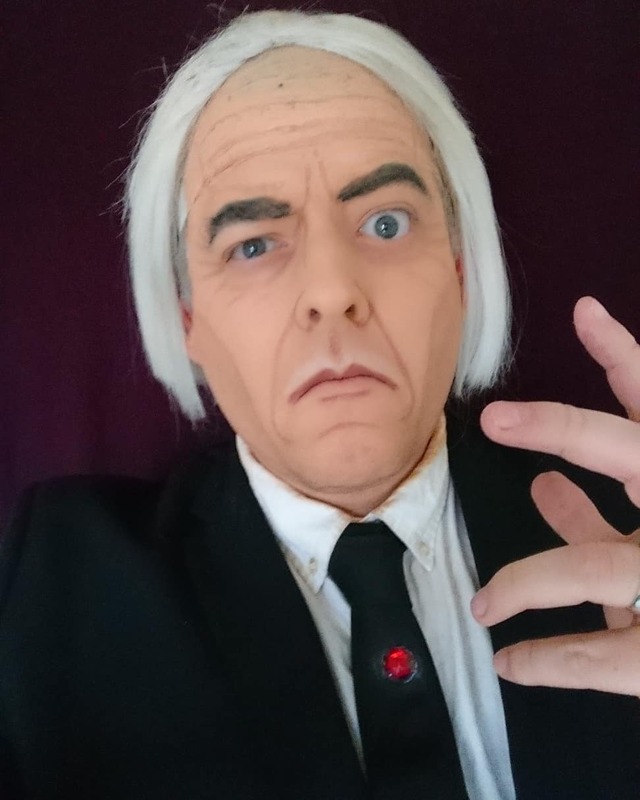 Famed horror host Joe Bob Briggs tweeted yesterday his praise for mega-phan Scott Pensa's 40th Anniversary Tall Man Coin Pop. Obviously, Joe Bob has great taste in movies and collectibles. Inspired by the wildly popular Funko Pop! series of figures, this "Coin Pop" is a terrific way to commemorate this wonderful occasion. 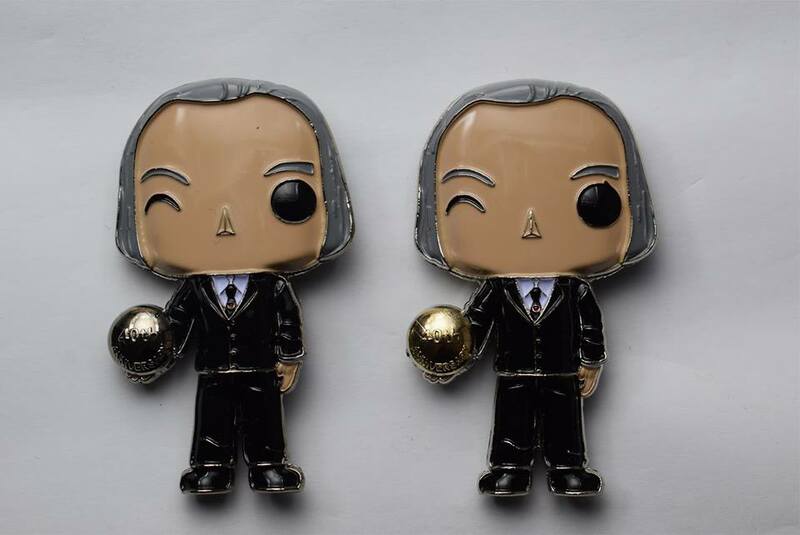 And it's not too late to grab your own Tall Man Coin Pop! Silver sphere editions are limited to 100 and cost $20 each. Gold sphere editions are limited to just 40 (only a few of these remaining) and must be purchased with a silver sphere edition ($40 per set). The spheres all say "40th Anniversary" on them. Each Tall Man "Coin Pop" is numbered on his foot and they stand on their own with ease. Shipping is $7.90 for priority USPS with tracking (USA only). Contact Scott at scottyrascal@yahoo.com to get yours before they run out! Higher-Res Artwork for the 40th Anniversary Sphere Set! Courtesy artist Aaron Lea's Instagram, we now have much better looks at the original artwork he created for the upcoming 40th Anniversary Blu-ray set coming this October from Well Go USA. So marvelous to finally see all three franchise heroes represented in one packaging. 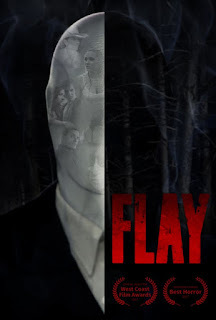 Has that ever happened before either on a poster or home video cover? I don't think so. 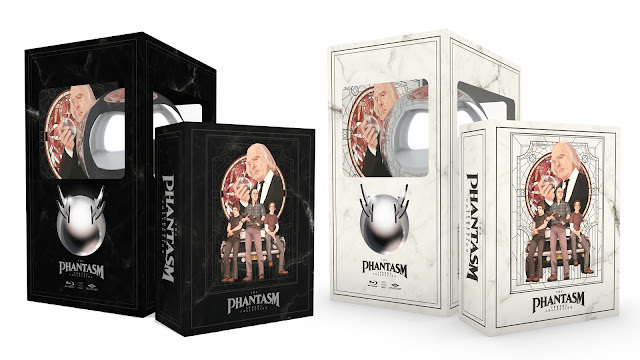 Click either image to see it larger or click here to read the original news post about this fantastic boxset, which is coming packed with a sphere replica! I'm a little late with this one, but Dances with Werewolves - which contains Angus Scrimm's final screen performance - was finally released onto physical home video on February 28. Angus appears in a supporting role as Neumann, a vagrant character. 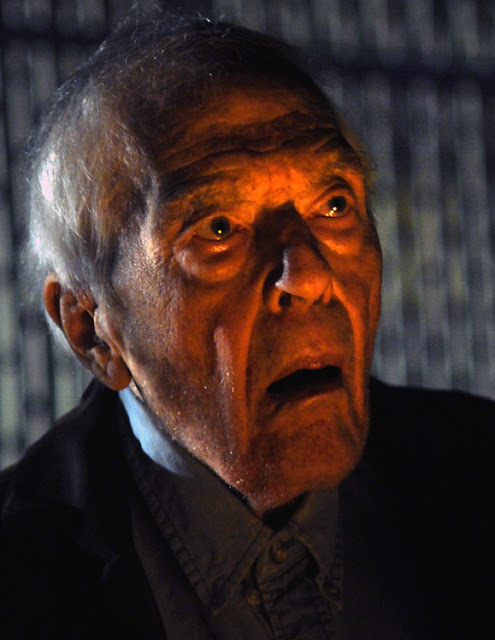 The Dan Golden-helmed project marks the Tall Man actor's final film as his part was shot long after he wrapped work on Phantasm Ravager. 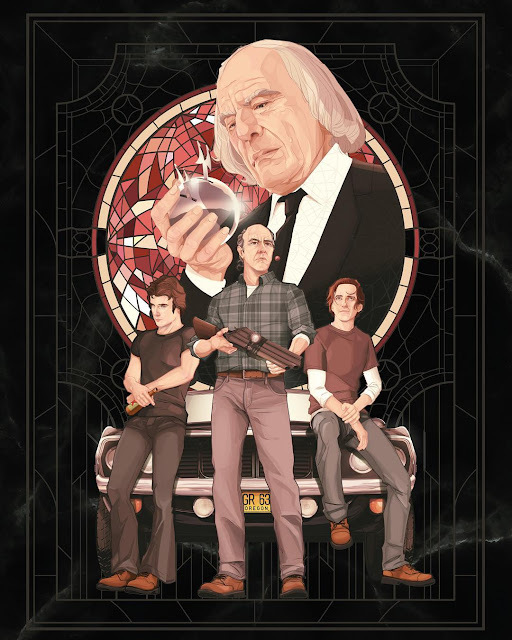 Golden and Scrimm previously worked together on 2006's Satanic, which also starred horror icon Jeffrey Combs. Grab your DVD copy of the film here. 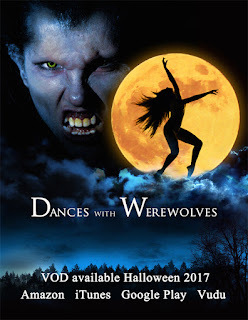 The film's IMDb plot summary reads, "When Cassie flees an abusive relationship, and falls victim to a moon-worshiping 600 year old Romanian Countess; a troubled paranormal investigator of Native American heritage finds himself in a deadly love triangle with a battered-woman werewolf."